These days almost all mobile devices are equipped with a front and back camera. There are several mobile instant messengers available in the market that let you make use of the video camera for video calls, and web chat. But still when it comes to a desktop we need to buy additional camera hardware for video calls. Warelex released a software called Mobiola Webcam that can turn your mobile camera into a web camera. Mobiola Webcam works with Apple iPhone, Windows mobile, Nokia Symbian and BlackBerry smartphones. Mobiola webcam application has two parts. One is the desktop software and the other a mobile application that facilitate camera actions. Earlier versions of Mobiola webcam were using direct cable connection for video data transfer. 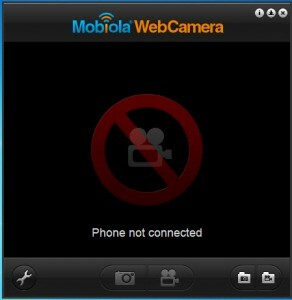 Now the camera/web cam data are transferred over WiFi in the iPhone version of Mobiola webcam. The iPhone version of the Mobiola web cam is much cheaper. You can download it from the iTunes store, here. This is pretty useful as we can avoid disturbing web cam cable connection and position the mobile device anywhere we want. 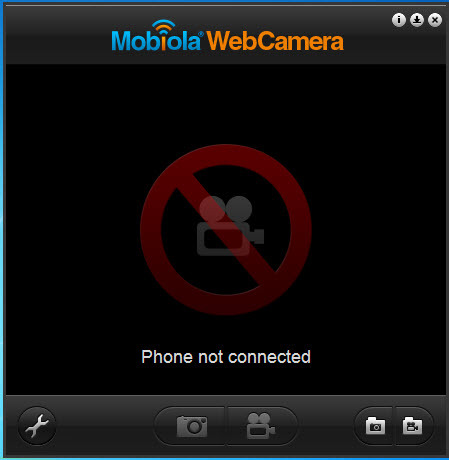 Mobiola web cam works with popular chat clients like Skype. Yahoo Messenger and Windows Live Messenger. Prior to making video call setup, we have to connect the desktop and mobile software of the Mobiola through WiFi. There is an automatic option so it’s pretty much easy. After creating a connection, we can start a video call application and start using mobile as the webcam. Mobiola web cam desktop software is available for Windows and Mac. The Mobile client at present support Symbian, iPhone, Windows Mobile and BlackBerry operating systems. An Android version is also in development.